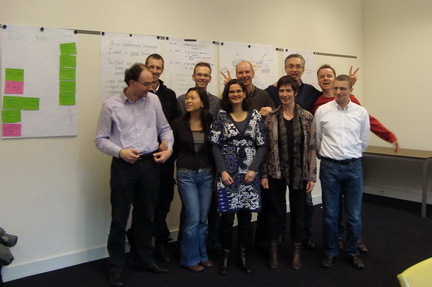 This Tueday morning marked the kickoff of the XP Days Benelux organisers 2010 team. Together, we’ll be bringing you Mini XP Days Benelux on 26 April, 2010, followed by XP Day Benelux (a 2-day conference) in November 2010. We’ve got a great team and if the fun we had on Tueday is anything to go by, I wouldn’t want to miss Mini XP Days Benelux for the world! To top it all off, we’ve got an awe-inspiring venue this year. Here’s a sneak preview of the venue: Kapellerput in Eindhoven, The Netherlands. 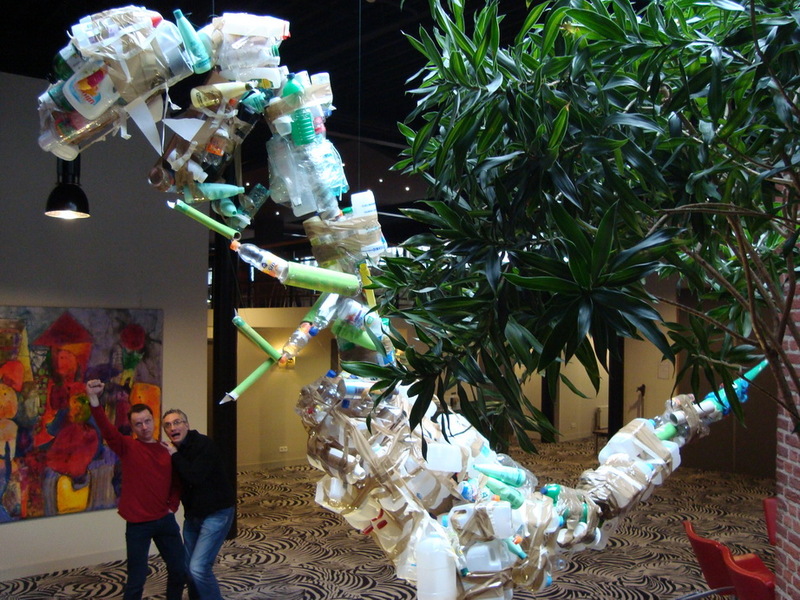 It’s got an outdoor barbeque, a human bird-house, garden chess and even a dinosaur made out of rubbish to remind us of the importance of eliminating waste! We’re currently finalising the programme for Mini XP Days Benelux, a 1-day session containing great sessions selected from the XP Days Benelux 2009 program based on participant feedback. There’ll be something for everyone interested in learning from and with Agile practitioners. For First Timers: A chance to sample what an XP Days Benelux conference feels like at maximum value and minimum cost. It’s a one day conference at an affordable price with great sessions selected from last year’s programme based on participant feedback. For Old Timers: A chance to catch up on the sessions you wished you’d gone to at XP Days Benelux 2009 because you couldn’t be in more than one place at any one time. And, of course, a chance to meet up with old friends and make new ones! We’re looking forward to implementing Keith Braithewaite‘s concept of a ‘WTF factor’, also known as a ‘Wow! factor’ or ‘Tada! 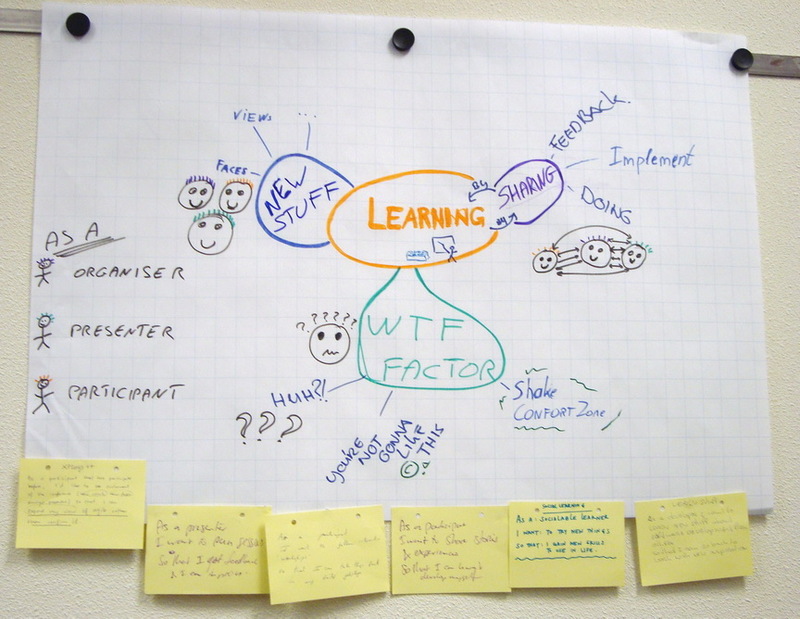 factor’ where learning happens through shock and surprise. Meanwhile, find out more about XP Days Benelux here. Tot ziens! Watch this space. The entry 'XP Days Benelux Organisers 2010 Team' was posted on January 22nd, 2010 at 10:13 am	and last modified on February 7th, 2010 at 11:22 am, and is filed under Conferences. You can follow any responses to this entry through the RSS 2.0 feed. You can leave a response, or trackback from your own site.